Former British PM hands in resignation letter after eight years, says he will continue to work for 'two state solution' informally. 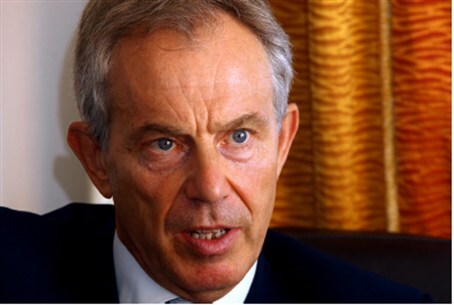 Former British Prime Minister Tony Blair on Wednesday resigned as envoy of the Middle East Quartet diplomatic group after eight years in the job, his office said. "Tony Blair has tendered his resignation in a letter to (UN Secretary General) Ban Ki-moon," a spokeswoman for Blair told AFP. Reports emerged in March that he was set to leave due to unease in Washington and Europe over his poor relations with the Palestinian Authority (PA), although those claims were dismissed as "incorrect" by State Department spokeswoman Jen Psaki. state of Gaza is a rebuke: to those of us in the international community who over the years have made so many promises unfulfilled; to those who have offered leadership and failed to provide it."